Throughout the years, Canada has constantly been seen in the top 10 list of most desired destinations for international students. And it doesn’t seem hard to understand why. Who wouldn’t love to spend the best years of their academic lives in a multicultural country, paying affordable tuition fees for high-quality education? Besides, international students in Canada can benefit from a unique advantage: work and immigration options after graduation. International students may obtain a Post-Graduation Work Permit for up to three years after their graduation. 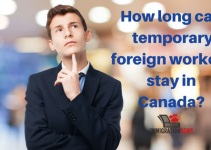 Have continuously studied full time in Canada and you must have completed a program of study that lasted at least eight months. Graduated from a recognized educational institution in Canada. Apply for a work permit within 90 days of receiving written confirmation (for example, a transcript or an official letter) from your institution indicating that you have met the requirements for completing your academic program. Have completed and passed the program of study and received a notification that you are eligible to obtain your degree, diploma or certificate. One of the immigration programs under federal Express Entry system is the Canadian Experience Class (CEC). This program allows temporary workers who have gained at least one year of Canada work experience to apply for permanent residency. That can also be the case of international students who have a Post-Graduation Work Permit. In order to qualify for the CEC as a recent graduate, you must meet all the following requirements. Have at least 12 months of full-time occupation (or an equal amount in part-time) in the NOC 0, A or B level in Canada in the three years before you apply. 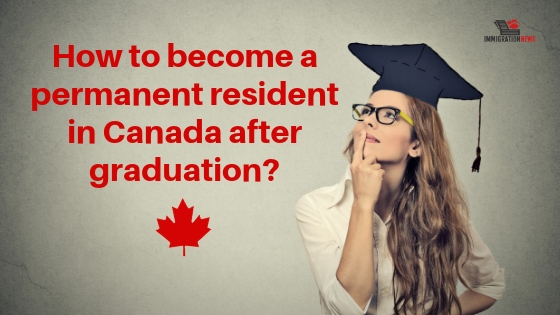 Have gained your experience while working legally in Canada after you graduated. Have gained your work experience after you have graduated. You cannot include work you did while you were a student. You do not have to be working when you apply. 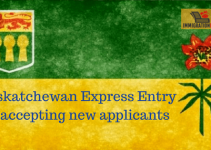 International graduates may also be eligible for several provincial immigration categories. 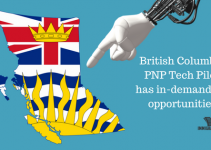 Alberta, British Columbia, Newfoundland and Labrador, Ontario, Prince Edward Island, Quebec, and Saskatchewan have specific programs for students who graduated on those provinces. All candidates need a permanent job offer from an eligible employer to apply for a provincial nominee program. In addition, there is an opportunity for those who lived in an Atlantic province for at least 16 months before completing their studies. 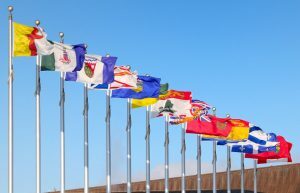 They can also apply under the Atlantic Immigration Pilot to immigrate to the provinces of Atlantic Canada (New Brunswick, Prince Edward Island, Nova Scotia, and Newfoundland and Labrador). The Atlantic Immigration Pilot is an employer-driven program in which designated employers can offer jobs to skilled foreign workers or recent graduates.